Fifa World Cup 2018 has kicked off yesterday in Russia. The biggest football tournament will witness 32 national teams from across the globe who would play around 50 matches for the next one month. The football fans will not want to miss the action live. 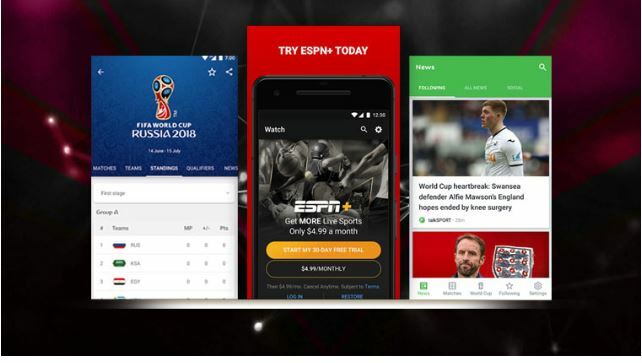 For Indian football fans, the telecom operators Airtel and Reliance Jio have announced free live streaming of 2018 Fifa World Cup matches on their mobile TV apps. So, if you are one of those die-hard fans of soccer who want to watch all the action on the ground live, here is a list of some apps that offer free live streaming of FIFA 2018. The popular telecom network Reliance Jio will offer its users FIFA World Cup 2018 live via JioTV app. Jio subscribers can stream the content for free during the soccer tournament from June 14 to July 15. The JioTV app also offers reminders, updates about the upcoming matches and mini view to browse content. Reliance Jio has also launched a new Jio Double Dhamaka offer which provides 1.5GB additional data per day to its users on some prepaid recharges. This is another way for customers to enjoy full football matches with more data. Airtel TV app will also stream FIFA 2018 tournament live for Airtel users. The live streaming will be available in various local languages including Hindi. It will also offer exclusives along with reviews, previews and behind-the-scene match snippets. To access the content users will have to update to the Airtel TV app’s latest version. All content on Airtel TV app is free for Airtel Postpaid and Prepaid users until December 2018. Apart from that, there are a host of apps available on iOS and Android platforms that will keep football fans updated with live scores, latest news, and more. Sony LIV is one among such apps that will also offer unlimited live streaming of FIFA World Cup 2018.